"The best candidates aren't on the job market"- Not True! 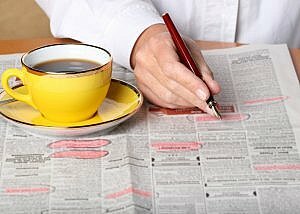 Home » Insights and News » “The best candidates aren’t on the job market”: not true! The belief that the best candidates are passive and not searching for opportunities, unlike those actively seeking new pastures, is a myth perpetuated by old-school Executive Search firms. Candidates are concerned that if they are seen to be actively looking for a job or are unemployed it can be unattractive to employers. Employers in turn are led to believe that the really great candidates have to be headhunted as they aren’t looking for a job (a view especially common in management consultancy recruitment). Good candidates certainly don’t apply to “job adverts”. This influences their recruitment strategies and makes it more difficult to hire. Much research has shown that most candidates keep at least half an eye on the job market. Those who are so heads down and blinkered as to be immune to temptation might not actually be “the best candidates”! Active job seekers will of course be looking at other jobs. If they take your job offer it will be for the right reasons based on a good look at the market. Passive candidates can waste a lot of time if they are on a fishing expedition. They may use a job offer to get a better deal with their current employer. No job is perfect. The active candidate often has more sensible expectations of both the role they can land and the salary they are realistically worth. Neither of these points tends to apply to headhunted candidates. A headhunted candidate will rarely have any enthusiasm for a swift process. An active job seeker will be keen to get to offer stage and may be able to start immediately. An active job seeker can be active for a host of very legitimate and understandable reasons. Even if they were “let go” from their last role that doesn’t mean it was their fault! They might thrive with a new employer. Passive candidates take more effort and time to find. Often LinkedIn profiles are out of date, have limited information or are or inaccurate. This wastes everyone’s time and delays the hiring process. A headhunted candidate calls the shots. That makes an active candidate a much more congenial prospect. Not because they are desperate: far from it as their skills may be highly sought after. Instead, the relationship is more equal. Employers sometimes seem keen for us to deep dive into ‘passive’ candidate pools without any real understanding of why, or how they might attract or afford such candidates but with a vague feeling that it is what they are paying a recruiter for. They are not: a recruiter does their job if they find a good candidate for an employer who is right for the role, ideally available to commence work in a reasonable time scale, while providing good service, irrespective of their source. So it doesn’t matter how the candidate comes through the door and often the active candidate is a better bet. To sum up: embrace active job seekers! For more information on optimising your hiring approach or working with recruitment consultants email Chris Sale, Managing Director, Prism Executive Recruitment [email protected], call him on 0203 143 5926 or visit our Client Services page.